Here are some details on the as-yet-unavailable-in-English manga titles included in this year’s slate of Angoulême award nominees. 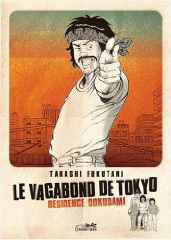 I apologize in advance if my translations of the French synopses are on the inelegant side. Some of the titles are a little on the obscure side, so I’m not entirely sure about their publishers of origin, either. If you have any more accurate details, please pass them along, and I’ll correct the post. Originally published by Shueisha in Business Jump and Weekly Young Jump. Collected by Seirinkogeisha, though I think it might originally have been published by Houbunsha starting in 1990. Originally published by Shueisha in Business Jump. 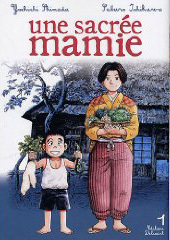 Originally published by Kodansha in Manga King. This entry was posted on Saturday, December 5th, 2009 at 6:37 am and is filed under Awards and lists, License requests, Polls. You can follow any responses to this entry through the RSS 2.0 feed. Both comments and pings are currently closed. Tough choice! 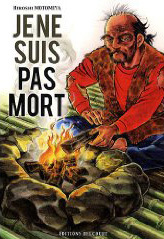 I was tempted by Sarutobi, but ultimately voted for slice-of-life drama from the 1960s. Derik: Everyone’s in a recessionary mood, I guess. Kate: That was also my pick. It looks lovely. 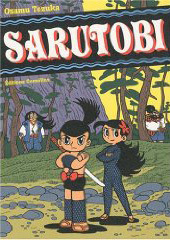 Though Sarutobi does look like it would be a nice companion piece for Dororo.